Kailua-Kona has a lot of character that comes out in small businesses all over the town. 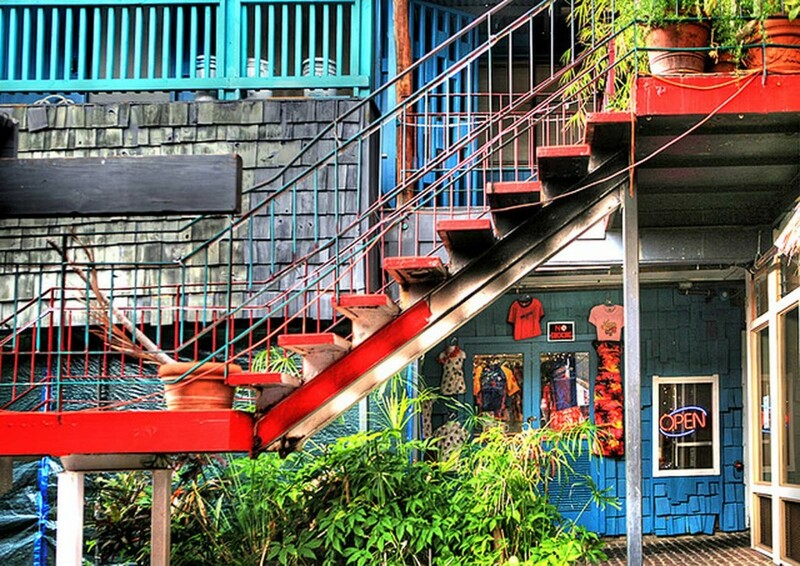 This downtown Kona picture is a great example of cool, attention-getting use of color for a small clothing shop. Tucked behind the main street of shops was this colorful stairway and store. Most of the buildings in downtown Kailua have only been around for about 30 to 40 years. This shopping strip was one of the first.